Every year Penguin Random House UK organises a competition to design contemporary covers for classic books. The three categories are: Adult Fiction, Adult Non-Fiction and Children's, where you can submit one design for each one. 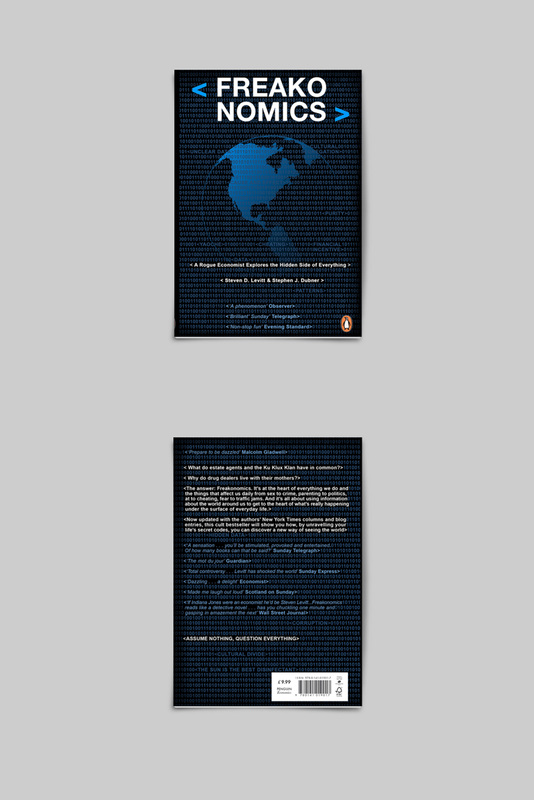 Using the Template provided by Penguin, your asked to design a contemporary, fresh and unique cover, front + spine + back. A Clockwork Orange: My design was inspired by the futurist aspect of the story, I was also interested in the Freedom vs Controlled side of things, as the main character Alex encountered. The outside cover is white, clean and emotionless, reflecting when he was hypnotised, while the side page is red, bold, reflecting the killing/psychopath in Alex. Freakonomics: A Rogue Economist Explores the Hidden Side of Everything, Is one of the book we did last year. My design was inspired by data, partly inspired by the Matrix films. 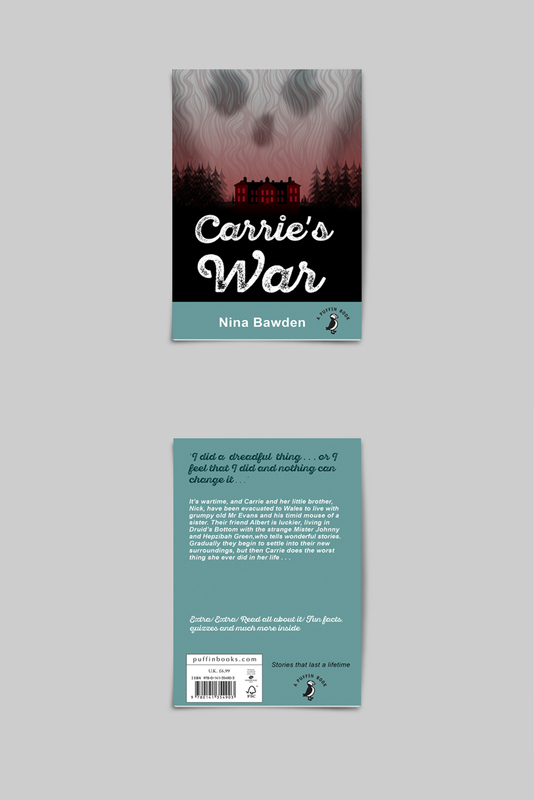 Carrie's War, Which was another book we completed last year. My design is inspired by the curse of the skull, and the house going up in flames.